Spring is here which means bright colors, beautiful sunshine, and annoying allergies (sorry). While sweater weather holds a dear place in my heart, it’s time to remove all those layers and opt for cheery florals and pretty pastels. But it’s not just your wardrobe that needs to transition with the new season. You can also update some of your home decor to celebrate the warmer weather. Here are five simple ideas to get you started. There’s nothing that says spring more than a fresh bouquet of flowers in your kitchen or centered on your living room coffee table. 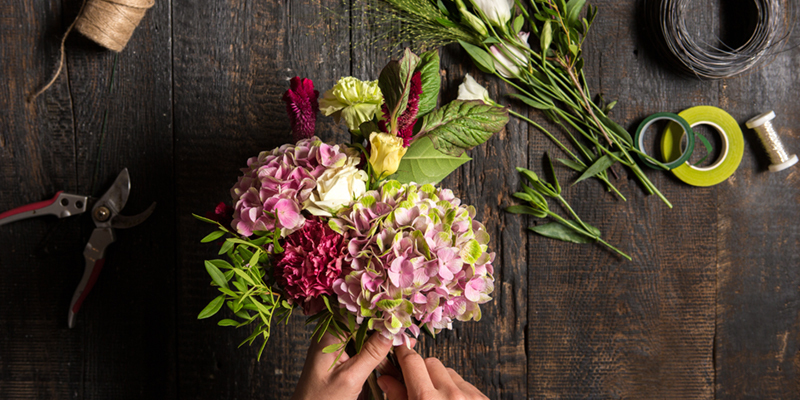 Whether your favorite flowers are pink tulips, yellow daisies, or baby’s breath, choose what makes you happy and decorate your home with some fresh floral arrangements. You can use some traditional glass vases or be more creative with mason jars, teacups, rainboots, or even an umbrella. Yes, you read that right. Check out these fun ideas from Midwest Living. Decorative wicker baskets can be used all year round but they especially remind me of springtime. 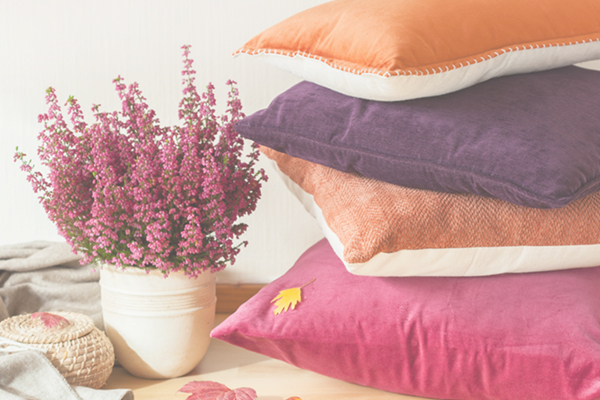 Adding one or two to your space is a super easy way to introduce some texture and a clear reminder of the season. Wicker pendant lights have also become incredibly popular. I constantly see them on my Instagram feed. When I think of spring colors, pastels definitely come to mind. I love those gorgeous pale pinks and bright mint greens. They have a playful feel that gets me ready for the new season. Add pops of these colors throughout the home, whether through plates, cups, coasters, tablecloths, vases, throw pillows--the possibilities are endless. 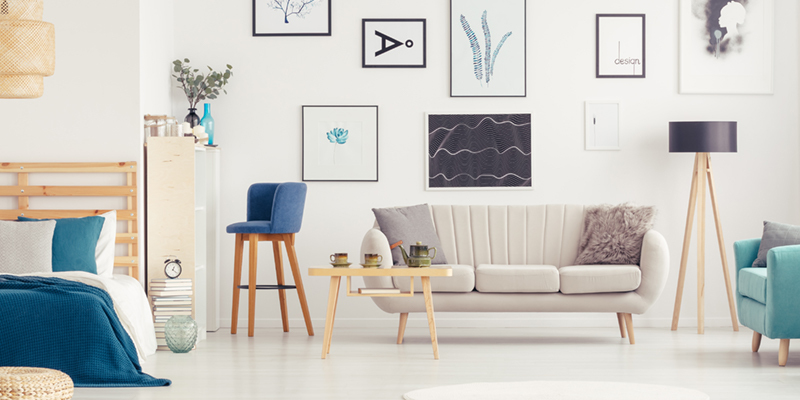 If you’re an art lover and have more than you can display at a time, perhaps you can switch things up once or twice a year. Paintings with warmer hues can be displayed in Fall and Winter while brighter works can be introduced in the spring. Love all your artwork already? Simply changing the frames can create a totally different look while still showcasing the pieces you treasure. 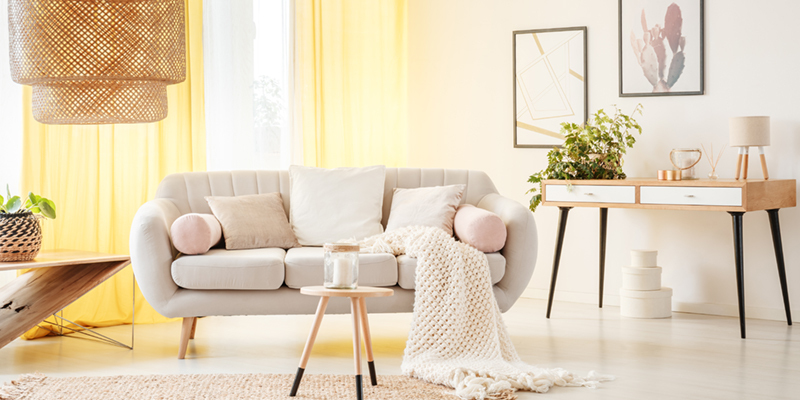 Whether you want to completely switch out your living room for a brighter hue or you’d prefer to simply add a runner in the hallway, the perfect rug can scream “spring is here!” in the best way. 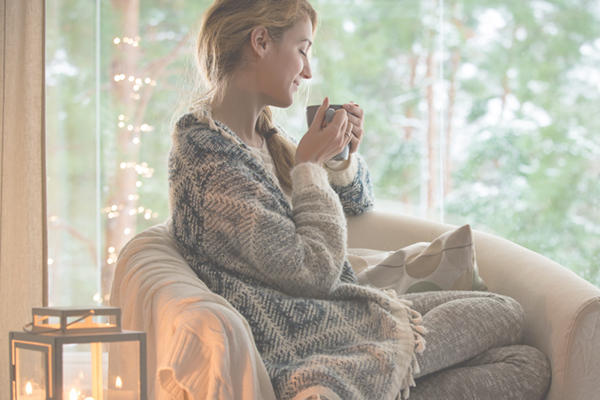 Not entirely sure how to decorate your natural home for the colder months? That’s okay! Here are some ideas. If you haven’t yet decorated your home, don’t worry. Here are five ideas to help you get started.